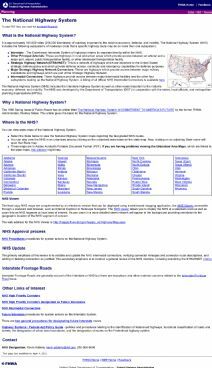 The National Highway System website is run by the United States Department of Transportation’s Federal Highway Administration. The website offers teachers and students detailed maps of the nation’s highway system, which are broken down by state. The site also contains information about the history of the National Highway System and details the very basis for its existence. A traveling book about an adventurous young woman, Alice Ramsay, who drives across the country in 1909. Despite facing natural and manmade obstacles - including poor roads and a lack of traffic signs - Alice's westward voyage ends triumphantly in San Francisco, making this a charming tale of a girl and a nation in transition.